Special romantic gift for your special someone. 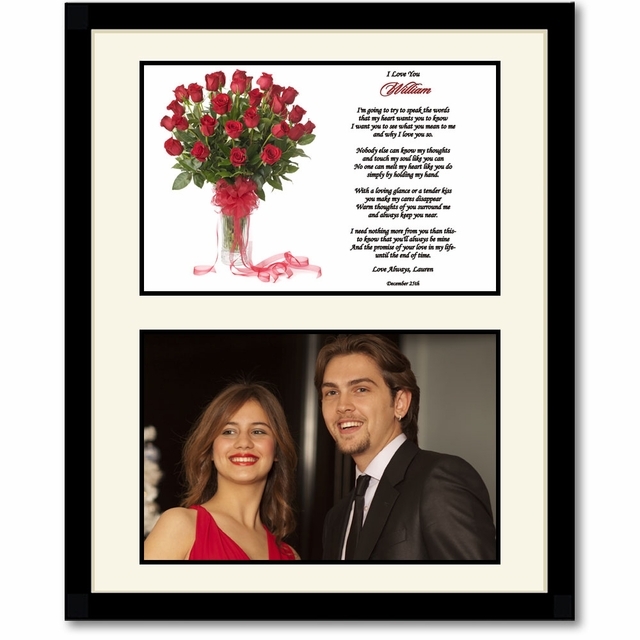 Roses can be forever with this Poetry Gift with a bouquet of roses design and touching love poem. Want to tell your "special someone" what they mean to you but can't quite come up with the words? Let this beautiful love poem say it for you. 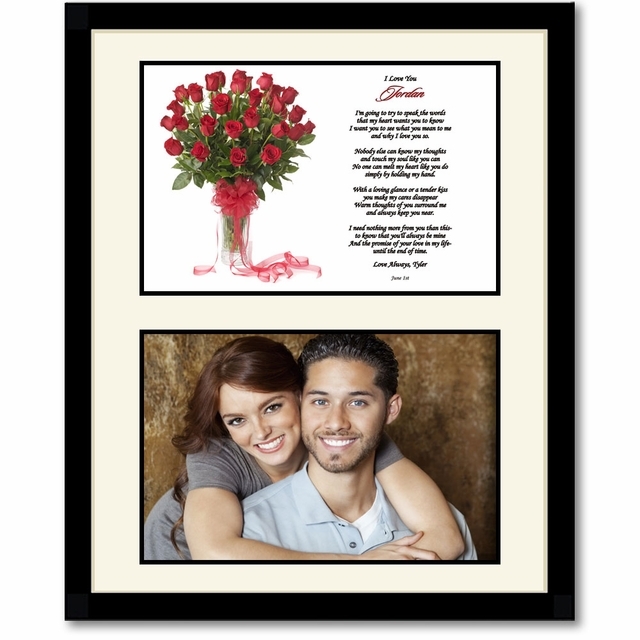 Poem can be personalized with names and optional date. Mat has an opening for a 4x6 inch photo or part of a larger photo. 1. Optional Phrase above Name - Examples: I Love You; Happy Anniversary; Happy Birthday; etc. 3. Closing Phrase & Your Name(s) as seen after poem - Examples: Love, Jason; Love Always, Katie; etc.